Our developer team has listen to the users wishes and reports for creating better features and more stability. 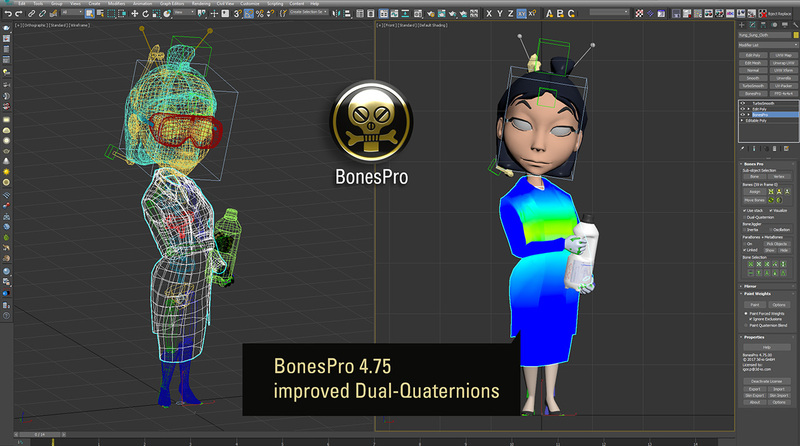 We have today released BonesPro 4.75 with some minor fixes. We recommend all users to update their old versions for better results. The latest upgrade is free to download for all existing BonesPro customers. Just login in your Download Area and get the free updates! 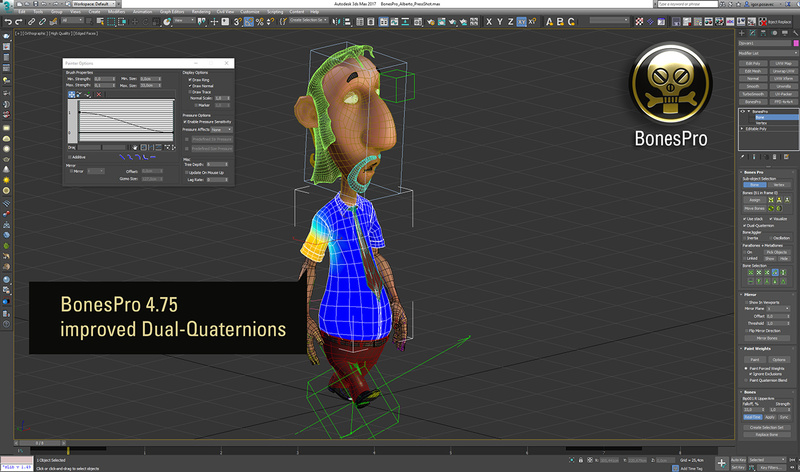 – BonesPro 4.75 fixes some issues in Dual Quaternion calculation and makes it greatly precise. 3d-io games & video production GmbH is specialized company for high-end software development, modeling, animation, rendering, CG effects and 3D industrial design. 3d-io GmbH, headquartered in Wiesbaden, Germany, has an established strong presence in game development, design & video production, digital content creation as well as in graphics and animation. We are dedicated to provide easy-to-use software products accompanied by dedicated support team, experienced programmers and top notch 3D artists. Countless game, VFX and design studios utilize our 3d products, as well as large number of educational, independent and famous artists and freelancers worldwide.